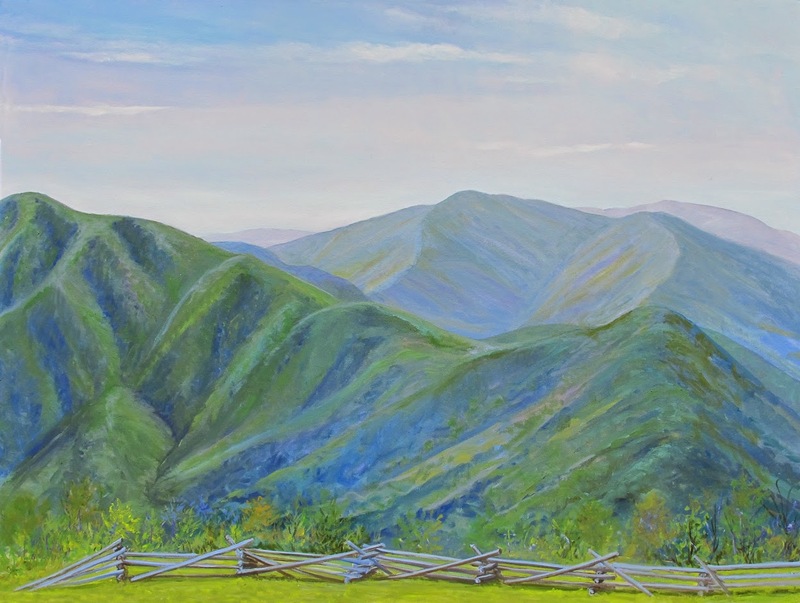 A commission for Mary and Tom, at the top of Wintergreen looking at Three Ridges from the Blue Ridge Overlook. (I want to do a 30" x 60" sometime to get the longer view there, maybe this fall!) This painting is 36" x 48", oil on canvas, framed. Will be delivered at the 4th of July Art Festival, so come out and see the fireworks! Thanks Mary & Tom!